Many of us will feel lonely at some point in our lives but with support from the British Red Cross, you don’t have to face that alone. To help tackle loneliness and social isolation in the UK, the Red Cross has introduced brand new services in communities across the country. 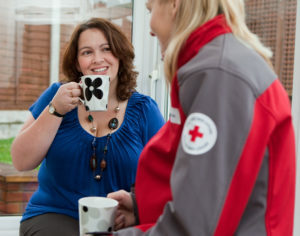 Responding to its research which found over 9 million of us regularly feel lonely, the Red Cross’ new Community Connectors are ready to provide a helping hand to adults of all ages who feel they have no one to turn to. This includes new parents, people dealing with bereavement, and those going through divorce/separation – many of whom feel in need of a bit of extra support. Whether you’re struggling with life’s demands or simply don’t know where to turn for a friendly chat, the Red Cross can help. Our dedicated Connecting Communities services are there to help you feel better connected to your wider community. 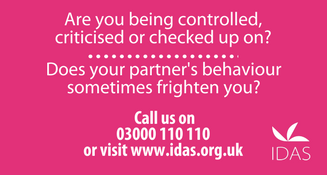 Independent Domestic Abuse Services (IDAS) offer non-judgmental, practical and emotional support to anyone affected by domestic abuse, sexual violence or sexual abuse in York, North Yorkshire and Barnsley. Our experienced workers will listen and explain the options available, including providing support through the criminal and civil justice system. We can also help to arrange emergency accommodation for people fleeing domestic abuse. We keep people safe and support them to make their own decisions. Parents/carers of pre school children with social communication difficulties, and their siblings at a parent led group. Parents/Carers also with children /siblings on portage waiting list are welcome also. Portage worker will also be at venue twice a month for any questions/queries. Monthly events – coming soon!! Pineapple Room, The House, Hobmoor Childrens Centre, Green Lane , Acomb, York, Yo24 4ps. Reduce the need for food aid provision by identifying and raising awareness about the systemic drivers of food poverty, e.g. ensuring those eligible for financial support are in receipt of it. Give people the skills and confidence to challenge food poverty in their area. Ensure existing community support is inclusive, supportive, social and well-coordinated across the city. Encourage community food organisations to develop advocacy, advice & support services. Ensure children in York are fed during term time and in school holidays. Involve ‘experts by experience’ in YFPA’s work. Rosie Baker, Research Assistant & Community Food Aid Project worker. Because NCT has nearly 60 years’ experience in supporting new mums and dads, you can rely on our range of courses to support you through pregnancy, birth and your new life as a parent. All NCT courses are led by specially trained and experienced practitioners who understand what matters to new mums and dads. And don’t forget, every NCT course gives you the opportunity to meet other parents in your area. 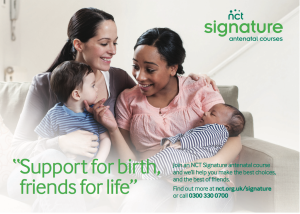 In the NCT Signature antenatal course more than half of the course covers the birth of the baby, plus plenty of time to explore questions, hopes and anxieties in a safe and supportive space. Courses feature information about pregnancy, birth and becoming a parent, with content tailored to the needs of the small group taking part. The courses are usually 18 hours in length and include a dedicated session on breastfeeding and an information pack to take away with you. Our NCT Essentials antenatal course is our newest course. It’s the shorter and most affordable antenatal course we offer. Every course follows the same, important six themes delivered over six 2-hour sessions. On this course parents will get practical information and emotional support for pregnancy, plus the knowledge and techniques to prepare for the birth of the baby. About half of this course covers important information to help care for the baby. Everyone is welcome to pay by instalments and we offer discounts for parents in receipt of benefits or on lower incomes. Please request further information from the course organiser when you enquire about your course. Find us on Facebook by searching for the York NCT page, or follow us on Twitter @YorkNct for all the latest news and updates. I have set up a support page for mums/ dads/ brothers/sisters/grandparents ECT of child with autism. The page has been created for us all to support each other, ask questions, share advice and experiences. It is a place you will always be welcome and problems shared and listened to a place we care and look out for each other . We’re better United then to stand apart and judge. To put a person down for a illness they can’t control says more about them than the person with the illness . Please be aware that we are not professionally trained in any part of mental health . If you are in immediate danger of life please ring A Ambulance The Samaritans, Crisis or if you are seriously hurt or your life is in danger please ring a ambulance. We are a support group to help listen to you and be there but please remember we are not legally qualified to give advice on metal health. “Bundles of Joy” exists to help families and expectant parents in our community who are in need of some extra support. Through the kind donations of other York residents, we make up bundles of baby essentials and distribute them to recipients. We are a Christian project motivated by the generosity and loving kindness of God. Recipients are identified by Health Care professionals and other agencies, so we know we are reaching those most in need. We work closely with the Besom Project in York who generously share their resources with us. See WEBSITE for more info. If you would like to make a donation then please get in touch. We would also hugely appreciate your prayers for this project, specifically that recipients would receive a glimpse of Christ’s love for them alongside the practical gifts we provide. Any questions, please get in touch via email. 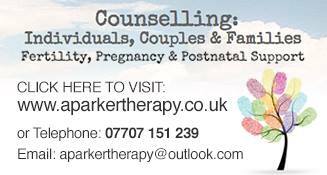 A group to help support others who have suffered and are suffering from PND, depression and anxiety. Parenting is the hardest job in the world and EVERY parent needs help and encouragement. Family Matters York run parenting courses and workshops for all mums, dads and carers providing you with opportunities to think about what you are doing with your children, and to share ideas with other parents. We cover topics such as how to build children’s self-esteem, what we can do to set and maintain reasonable boundaries and there is also opportunity to discuss your own issues. The courses are fun and interactive and give plenty of food for thought! Kyra works to empower women to make positive life changes. We welcome all women including those at a point of need such as isolation, unemployment, recovery from domestic violence, depression, drug dependency, low self-esteem or mental ill health, etc. You are welcome to call into the new members session on the 1st or 3rd Monday if the month between 1-2.30pm or Tuesday pms 1-4 or Thursday 10-12. Optimum is a free monthly meet up group for independent, lone mums, offering the opportunity to form new friendships and exchange support and experiences. At each session there will be activities available for children as well as tea and cake for the mums. Come alone or with children.Feel free to bring your lunch along too! Treasure Chest Breastfeeding Group aims to promote, support and encourage breastfeeding in the York area. If you would like breastfeeding support or information, you are welcome to come to one of our friendly and informal drop-in groups. You will have the opportunity to chat to one of our breastfeeding peer supporters and/or counsellors. It is also a chance to meet other mums. The groups are FREE and children of all ages are welcome as well as a partner/family member/friend. Friday 10:30am to 11:30am Breastfeeding Counsellor drop in at West Thorpe Methodist Church in Dringhouses. Term time only. 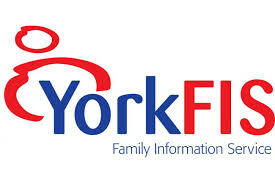 York Inspirational Kids is a support group for families who have a child with a disability and/or additional need. The group offers activities, outings, training and general support for parent cares, disabled children and siblings. In addition to the main group there are sub groups of York Ausome Kids that supports families of children on the autistic spectrum, York Hemi Kids for families of children with hemiplegia and York Inspirational Adopters for families who have adopted a child with disability/additional need. York Multiple Sclerosis Group have a coffee morning every Tuesday, a chance to meet up with others with MS and have a chat and a laugh with people who understand what your going through.